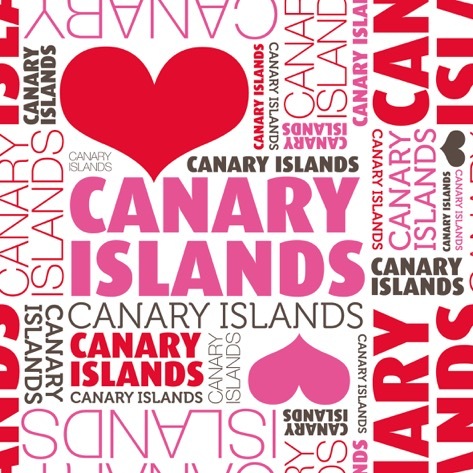 The Canary Islands are a welcoming place for gay and lesbian visitors and have been a popular destination for many years. The weather is good throughout the year, and blue skies and sunshine mean that you can enjoy sunbathing by the pool, a drink on your balcony, meet other gay and lesbian visitors on the beach or in bars during the evening, but all without rain or cold weather! Gay visitors come to the islands throughout the year as the weather and temperatures seldom change, and are welcomed in all bars and hotels. 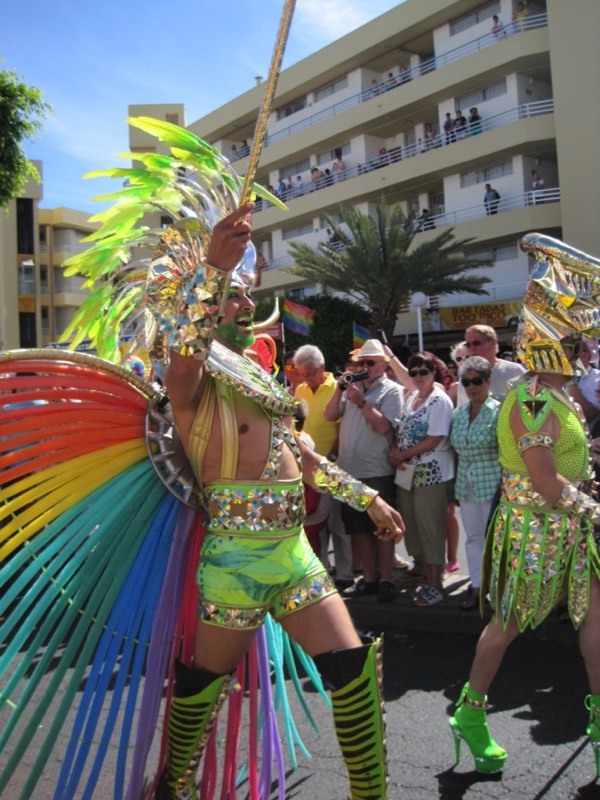 Christmas and New Year are very popular times to visit, but Playa del Ingles in Gran Canaria holds the second largest Gay Pride in Spain and one of the most popular in Europe in May each year. 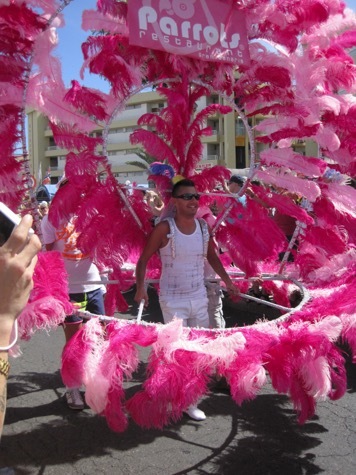 The main centre for gay tourists is Gran Canaria, but gay bars may be found on most of the larger islands. 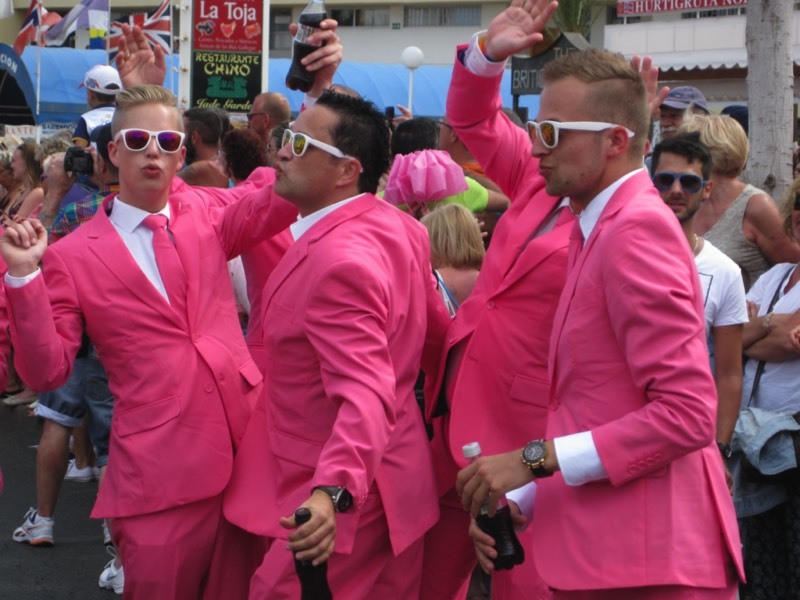 Carnival takes place on all the islands and is the most important fiesta for Canarian residents, and, although it is not gay, most straight men dress up as women and women dress as men - all very confusing! So a fabulous time for a party and sights that you will never forget - bring a costume! It was a great party and an opportunity for the LGBT community to stand up for equality in Spain, and to remember those in other countries who are still fighting discrimination. 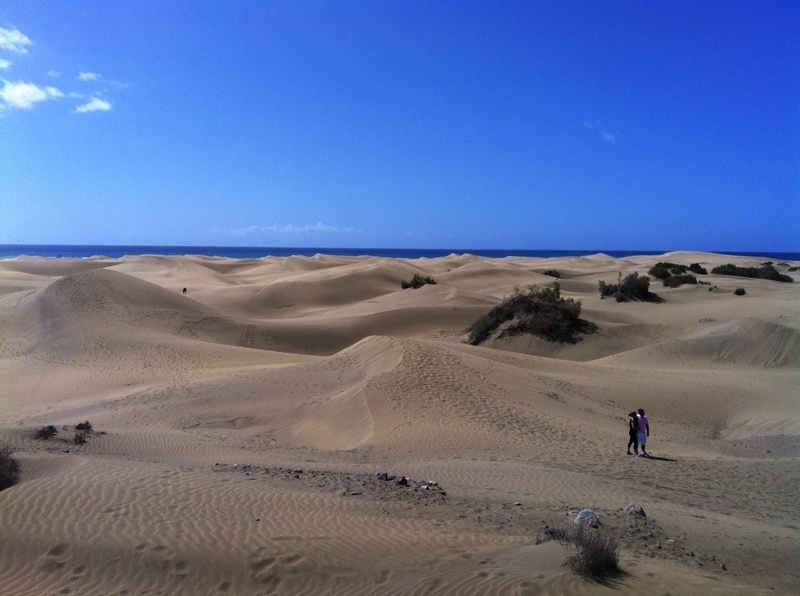 Book Now for Maspalomas Pride 2019! The Canary Islander by The Canary Islander is licensed under a Creative Commons Attribution-NoDerivs 3.0 Unported License. Based on a work at www.thecanaryislander.com. Permissions beyond the scope of this license may be available at info@thecanaryislander.com.